Day 1 .. Arrive Shannon Airport. Welcomed on arrival by a Wild Atlantic Golf Tours director. Set off to play Trump International Golf Links. Stay at 5 star Trump International Golf Resort. Day 2 .. 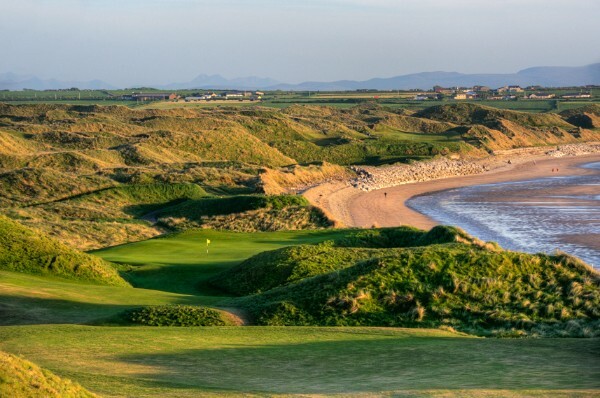 Play Ballybunion Old Course. Stay at 5 star Killarney Park Hotel in Kilarney Town. Day 5 .. Play Waterville Golf Links. Stay at 5 star Hayfield Manor in Cork City. Day 6 .. Play Old Head Golf Links. Stay at 5 Star Hayfield Manor in Cork City. Day 1 .. Arrive Shannon Airport. Welcomed on arrival by a Wild Atlantic Golf Tours director. Set off to play Connemara Golf Links. Stay at 4 star Castlecourt Hotel, Westport Town . Day 2 .. Play Carne Golf Links. Stay at 4 star Castlecourt Hotel, Westport. Day 3 .. Play Enniscrone Golf Club. Stay at 4 star Glasshouse Hotel, Sligo Town. Day 4 .. Play Strandhill Golf Club. Stay at 4 Star Glasshouse Hotel , Sligo Town. Day 5 .. 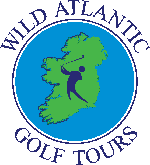 Play Galway Bay Golf Resort. Stay at 4 star Old Ground Hotel in Ennis. Day 6 .. 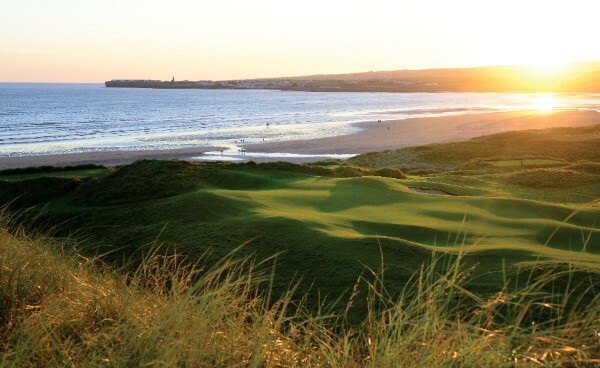 Play Lahinch Championship Course. Stay at 4 star Old Ground Hotel. Day 1 .. Arrive Shannon Airport. Welcomed on arrival by a Wild Atlantic Golf Tours director. Set off to play County Sligo Golf Club. Stay at 4 star Radisson Blu, Rosses Point , Sligo. Day 2 .. Play Narin & Portnoo Golf Club. Stay at 4 star Rosapenna Resort, Donegal. Day 3 .. Play Portsalon Golf Club . Stay at 4 star Rosapenna Resort. Day 4 .. Play Rosapenna Golf Resort ( Sandy Hills ) . Stay at 4 star Rosapenna Resort. Day 5 .. Play Ballyliffin Golf Club ( Glashedy ) . Stay at 4 star Radisson Blu, Letterkenny. Day 6 .. Play Donegal Golf Club. Stay at 4 star Old Ground, Ennis.